Between an average American, and somebody who grew up in Mexico, their definition of a taquito is probably vastly different. 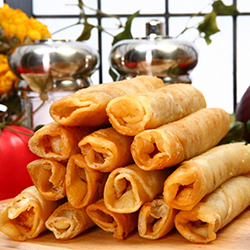 Taquitos, very commonplace in Mexican culture, have taken a much different form in their Americanized version, so much so that a lot of people in the USA don’t even know how good authentic taquitos are! At El Charritos, the best local authentic Mexican restaurant in Monterey, we know our Mexican food. 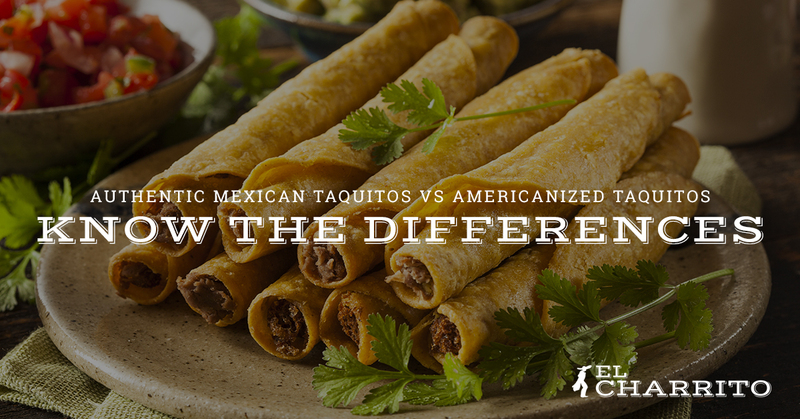 Let’s look at some of the differences between real, authentic taquitos, and the pretenders that you’ll find in the frozen food section. Americanized taquitos tend to be either much bigger or much smaller than traditional Mexican taquitos. Authentic taquitos are fairly simple—contents wrapped inside a typical corn tortilla. Frozen taquitos are smaller to a comical degree; they’re often no thicker than a Sharpie marker, whereas the ones you find at gas stations are often way too fat and loaded to be considered authentic. You can put a lot of things in a taquito, but the most typical ingredients are beef, chicken, potato, or a combination of those. What you would never find inside an authentic taquito is cheese, which Americanized versions are often full of. Also, a telltale sign is the quality of meat; Mexican taquitos use fresh meat, usually shredded, while the Americanized stuff often resorts to processed meat. If not processed, ground beef is usually a giveaway that the taquito is American in origin; Americanized Mexican food, in general, tends to rely on ground beef a lot despite the fact that the authentic stuff doesn’t really use it. “Toppings? What toppings?” If that was your first thought upon reading this, you probably haven’t eaten many authentic taquitos. Americanized taquitos are, sadly, usually served plain and naked, or perhaps with some dipping sauce if you’re feeling fancy. But for the average Mexican, the taquitos are only half of the picture. While you can crunch on a bare Mexican taquito if you so wish, they’re usually served with shredded cabbage on top, queso fresco (not the shredded yellow cheese you’re used to), and salsa and/or sour cream. And of course, who could forget the rice and beans on the side? At El Charrito authentic Mexican Restaurant, we make sure that everyone in Monterey has the opportunity to try the real deal. Our taquito plates come with the essentials—the cabbage, queso fresco, rice, and beans. Once you eat a real, proper plate of taquitos, you’ll never want to go back to eating them naked. At the end of the day, it’s not a bad thing that Mexican food has taken a new form in America. They say imitation is the sincerest form of flattery, and a lot of people find their way to authentic Mexican foods after taking a liking to the American stuff. At El Charrito, we take pride in being a source of high-quality, delicious authentic Mexican food, and if you haven’t yet had the opportunity to try authentic Mexican taquitos, now is the time! We love serving our authentic flavor to the people of Monterey, whether they’re seasoned veterans of Mexican food or newcomers who are exploring a new world beyond Taco Bell and frozen foods. Come in today, or order our food online!